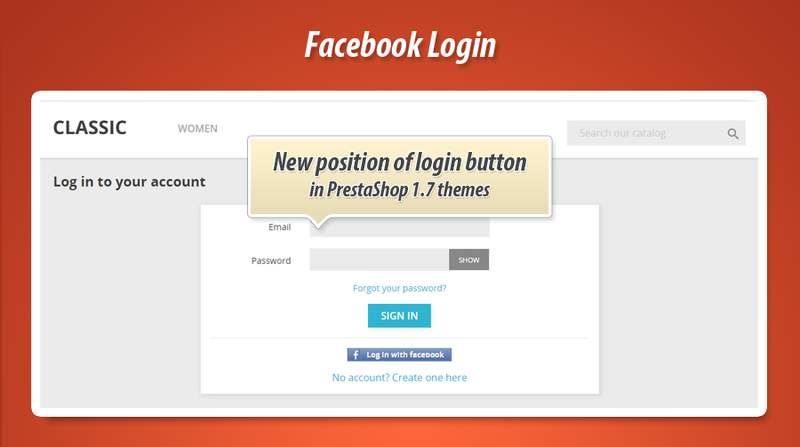 This prestashop module allows to create special login button on your website. 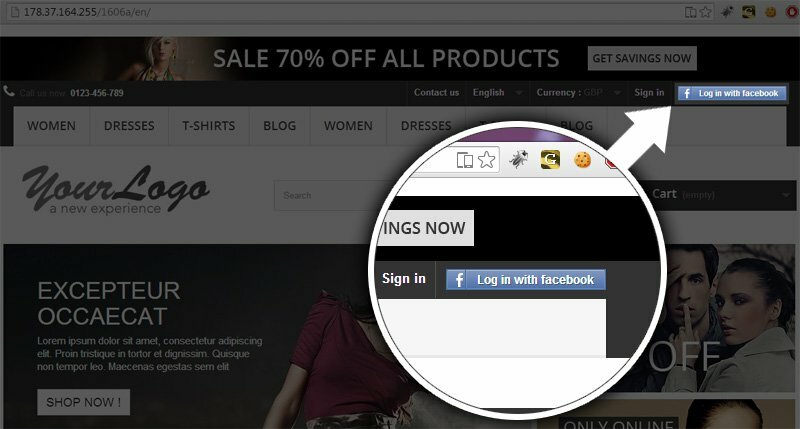 With this button your customers can log in to your shop with their facebook account. Module creates customer account automatically, with filled fields like First name, Last name etc. It's a great way to improve and let your customers to easily create accounts in your shop. 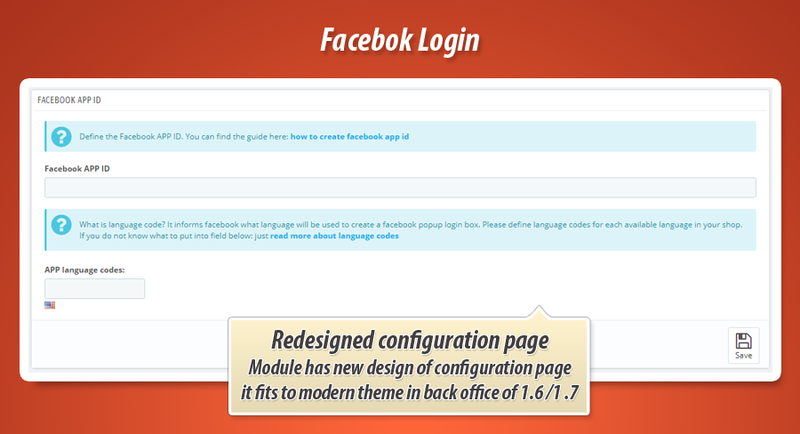 Recent facebook api changes requires additional security features and secure connection to use the facebook login, module is ready to work with these changes! This addon is great way to increase usability of your shop. With one mouse click your customers can create account in your shop and also log in. 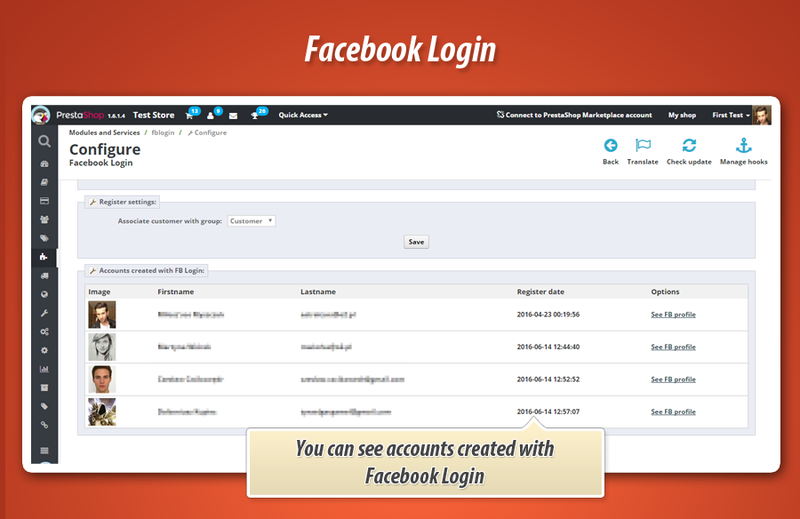 With this facebook integration module you can easily facilitate the account creation process. 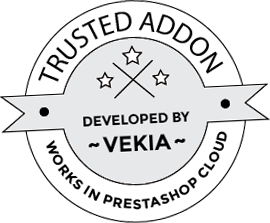 - added improvements to customer "my personal information" change process. - now password fields aren't necessary anymore to change "my personal information"
- added improvements to register process of customer. Now module spawns hook that is used while customer register an account. 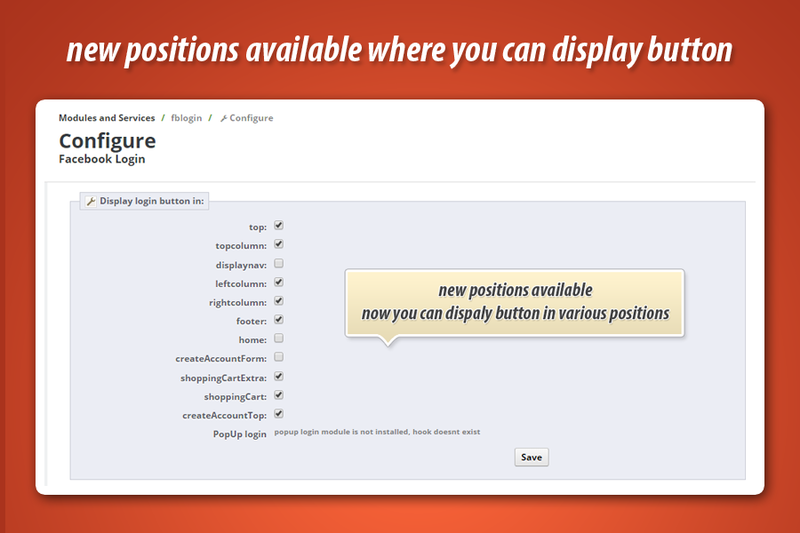 This is demo page of PrestaShop 1.6, login button is available in navigation bar (top header section of website).